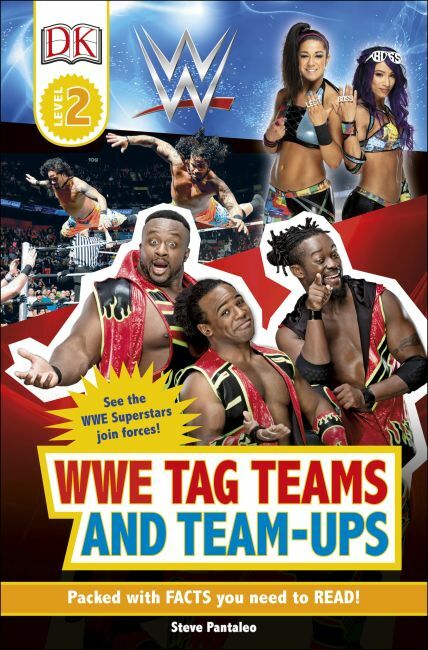 Team-up with your favorite WWE superstars as you learn to read. Discover how WWE Superstars team up and take down their greatest rivals in the ring. With dynamic photos of some of WWE's most popular tag teams, such as The New Day, The Bellas and The Usos, and descriptions of their biggest championship wins, young readers will love exploring the action-packed world of WWE. DK's reading scheme is levelled into stages to help every child progress and become a confident reader. This Level 2 book features engaging and highly illustrated topics with true kid appeal. Narrative spreads are supported with captions and annotations, and a quiz, to encourage children to develop comprehension skills.